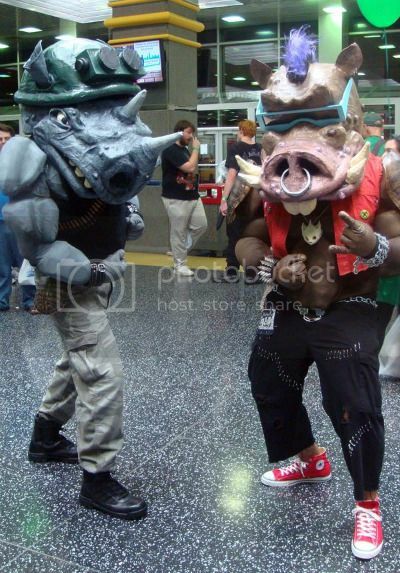 Phenomenal homemade Bebop and Rocksteady costumes from the Teenage Mutant Ninja Turtles cartoon. Way to win the internets, costume-creator Brandon Barker. Even if you are still rocking a MySpace page. * Take appropriate precautions when visiting MySpace. Contact your physician after prolonged contact. In case of eye trauma, dial 911 immediately. Thanks for reminding me that I have to shut that ridiculous thing down. In my defense, I… no, you know what? There’s no excuse.